Janelle Scott moved to St. Thomas for the sunny skies & warm weather in August of 2004 with her fiancé and immediately started to plan for their May 2005 wedding. Quickly becoming overwhelmed, she turned to the resources of The Knot and formed many friendships with other women planning destination weddings. Being that she lived in the beautiful island of St. Thomas, many brides began contacting her for help with their own weddings. Soon, Island Bliss Weddings was formed and has begun to grow (much like her own family!) over the last few years. She and her husband, Stuart Scott of USVI Services, have two beautiful children, Marley & Maya, and enjoy each day to the fullest… often spending time with the girls at the beach on days that they do not have a wedding! 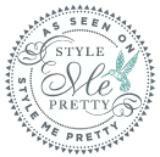 They are a true “mom & pop” shop, dedicated to providing you with excellent service for an unforgettable wedding experience. Janelle holds a degree in Public Management from Indiana University, which has been a tremendous help in her life as a wedding planner. Planning a wedding is quite the management job! She has also completed post-graduate courses at the Rhode Island School of Design which has helped shaped the way she coordinates a wedding ceremony & reception. Each event is like a blank canvas, just waiting to be painted by the bride! As a top US Virgin Island destination wedding planner, Island Bliss Weddings is fully licensed and insured to do weddings on St. Thomas & St. John in the beautiful US Virgin Islands and is the only wedding planner endorsed by the Virgin Islands Wedding Association. 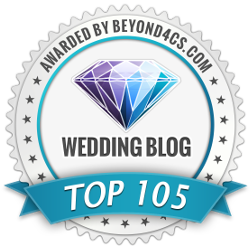 They were also awarded with the Best of 2008 Award by onewed.com and the Bride’s Choice 2010, 2011, 2012 and 2013 Award from weddingwire.com based on their outstanding client reviews. 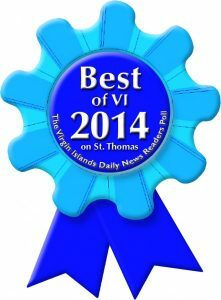 We have also been awarded the Best Wedding Coordinator of the Virgin Islands 2012 & 2013 by the Virgin Islands Daily News for overall wedding coordination perfection for St. Thomas & St. John!